Giving to the Imagination Library of Lincoln County’s “Invest in Our Children” campaign has increased to $10,081 in the last week. Now in its 14th year, the local Imagination Library affiliate is asking for your donations to help ensure that over 1,300 children across our community continue to benefit from the program. Beta Kappa Chapter Delta Kappa Gamma, Cindy Tinney, Joseph and Mary L. Bomar, Billy and Eda Tabor, Fayetteville Rotary Club, Michael and Melody Layne, Linda Gentle, Alpha Kappa Club, Steve and Judy Purinton, Laura Kinkle, James and Susanna Gattis, Eugene Ham, Lincoln County Education Foundation, Attorney at Law Jonathan C. Brown, and Jillian R. Rael. Donations can be mailed to the Imagination Library of Lincoln County at P.O. Box 914, Fayetteville, TN, 37334. Checks should be made payable to the Imagination Library of Lincoln County, and contributions are tax-deductible. Only the names of contributors are being listed weekly in The Times throughout the “Invest in Our Children” drive – the amounts of contributions will not be published. Contributors are welcome to make donations in honor or in memory of someone; simply note that on the memo line of your check. “We’re only asking for a donation of $15 per person, but if everyone is Lincoln County would do that, the future of the program would be ensured,” said Brown. “Of course, donations of any amount will be greatly appreciated. Individuals, couples, families, or businesses and other organizations contributing $180 or more will become a Lincoln County Imagination Library Donor and included in the almost weekly advertisements provided to the nonprofit by The Times. “After 14 years, the challenge is convincing people that Dolly does not buy our books,” said Teresa Brown, treasurer of the local Imagination Library organization, a nonprofit that must raise just over $20,000 each year to place a book a month in each of the hands of more than 1,300 children currently enrolled in the program here. 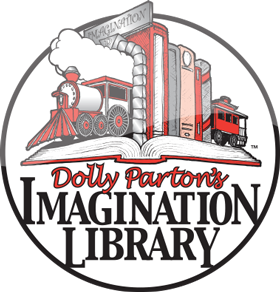 Dolly’s Imagination Library program does provide the infrastructure of the core program, managing the secure central database for the ordering system and coordinating book selections and pricing of the books to the local affiliates. Affiliates, though, such as the Imagination Library of Lincoln County, must shoulder the bulk of costs. Established here in 2005, just 10 years after Dolly launched the effort, the Lincoln County affiliate partners with the Governor’s Books from Birth Foundation to help pay the cost of the books and mailing. Aimed at fostering a love of reading in children, the program provides one free book a month to every registered child from birth to age 5, regardless of their family’s income. “The current enrollment of Lincoln County is over 1,300 children at a local cost of $15 per child,” said Brown. “The cost of operating the program for a year is over $20,000. Since the local program started, more than 200,000 books have been mailed to children in Lincoln County. “We also welcome people who would like to become involved in our nonprofit organization,” said Brown, explaining that an all-volunteer board here in Lincoln County oversees the program. Persons interested in helping or serving on the board can contact Teresa Brown at 931-808-2695.